It is no wonder that Galway, the city of tribes has many different facets to offer the international company looking to locate in Ireland. Not only is the city perfectly equipped to welcome the largest multi-national but it is also perfectly equipped to house and scale the internationalising start-up.  The city has designed itself to meet the different needs of both sizes of companies very well. The introduction of the Galway Innovation district which encompasses The Portershed, Start Labs, Superpixel Labs and the GMIT Innovation Hubs provides an innovative and flexible environment to suit start-ups. This coupled with a strong presence and collaboration between universities and research institutes makes Galway the ideal location for start-ups and cutting edge research and collaboration. Irish Galway start-ups are no strangers to International success with the likes of Altocloud, OnepageCRM, Romero Games, Cambus Beo, Netfort to name but a few. 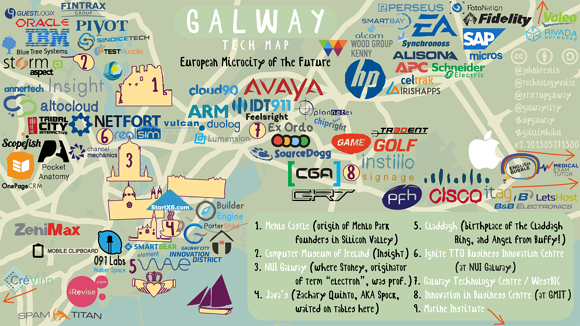 Galway has a unique innovative ecosystem to appeal to start-ups. International start-ups have sucessfully located in Galway such as IDT911, Perseus, Phenox, Smart Bear and Shopify to name but a few. 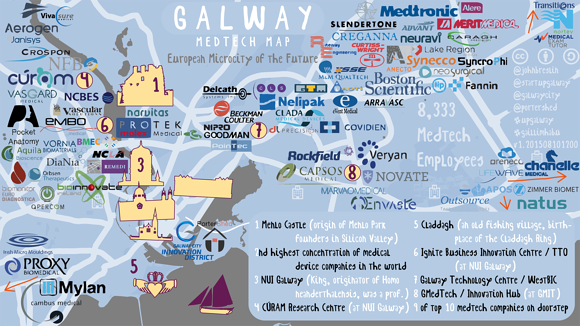 Have a look below to see a sample of the Technology clusters and the strong Medtech clusters that exist in Galway. 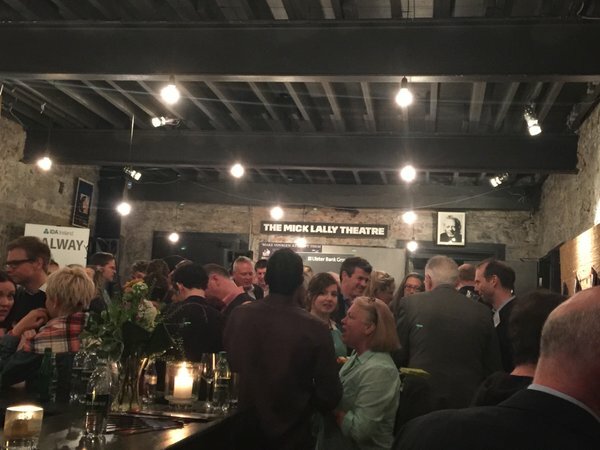 IDA Ireland held a ‘Meet Your Neighbours’ networking evening at the Druid Theatre in Galway last Thursday for international and Irish start-ups. The unique location provided a creative and innovative environment to network. We had guest speakers Brant Cooper renowned Innovation Expert and New York Times best-selling author saying a few words about innovation and creativity. 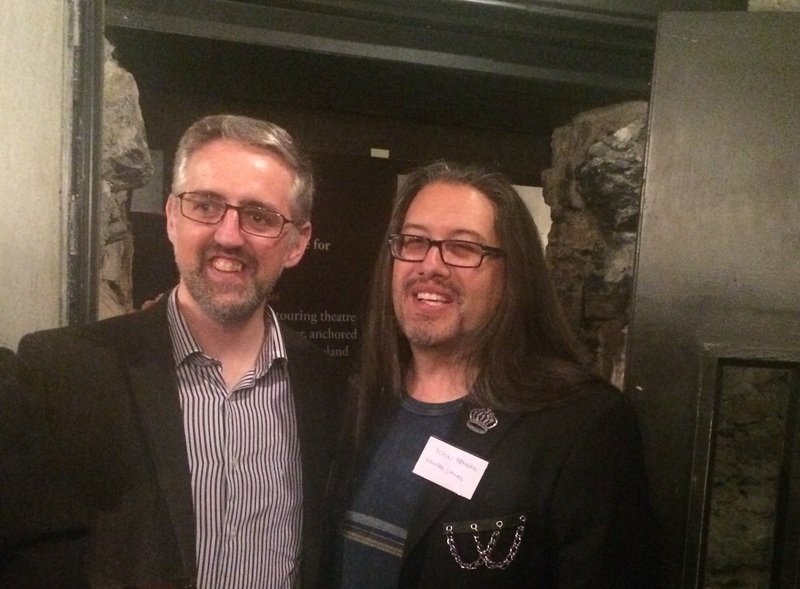 This was complimented by the Tony Award winning director Garry Hynes, Artistic Director for the Druid Theatre also discussing innovation. 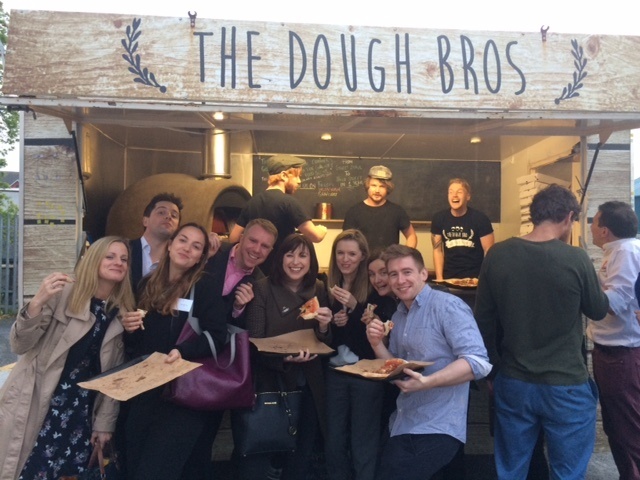 If you are interested in exploring what Galway has to offer for the international start-up, feel free to reach out to our friendly IDA team seen below partaking in a little pizza eating outside the Portershed.